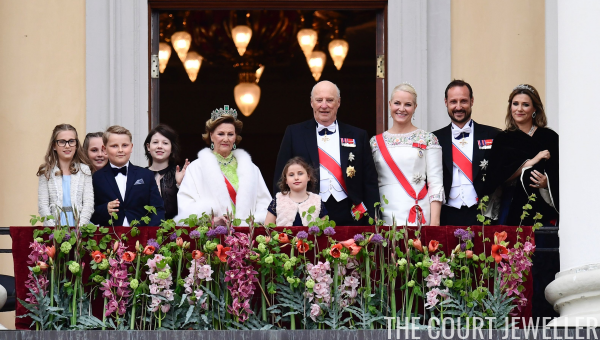 King Harald and Queen Sonja of Norway both turned 80 in 2017, and they celebrated their birthdays with several days of fun in May. Tiara-wearing guests from several royal families attended the first glittering event, and our biggest surprise was Crown Princess Mette-Marit's tiara debut in Queen Maud's Vifte Tiara. 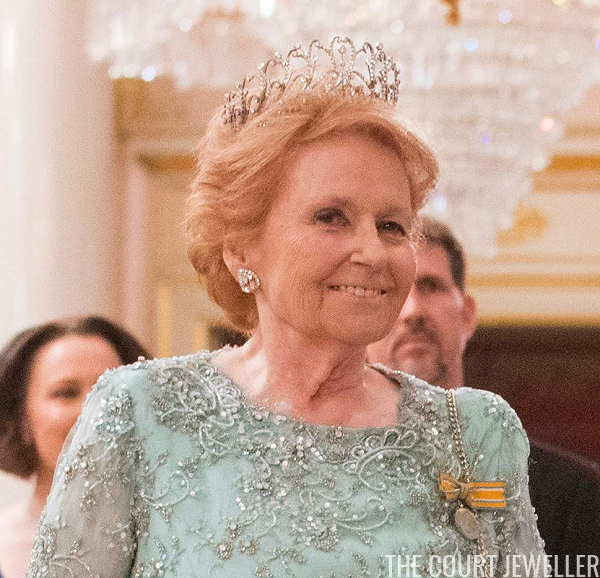 We also got to see tiaras from several members of the extended royal family, including Lady Elizabeth Shakerley. 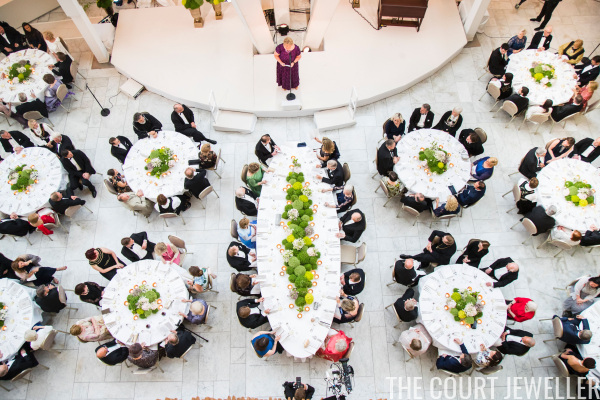 You can read our coverage of the white-tie jewels in this post and in this post! ...and Queen Maxima of the Netherlands sparkling in magnificent diamonds and sapphires. 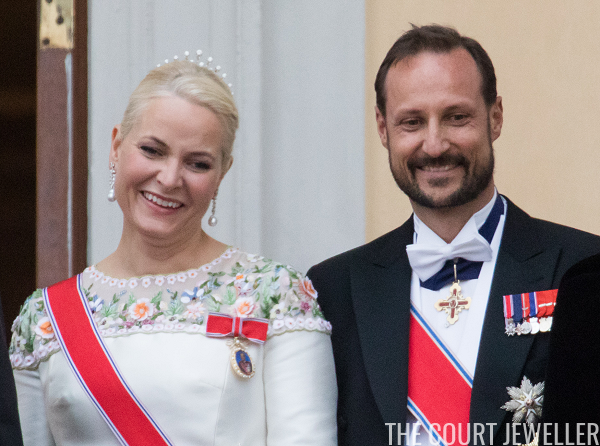 You can read about all of the black-tie jewels in this post and in this post!